Variable volume micropipettes, micropipette tips, and microcentrifuge tubes. 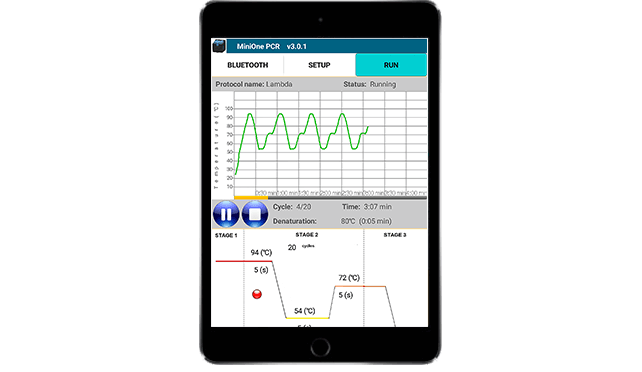 The MiniOne PCR Mobile App is now available and compatible with iPhone 5 and above with iOS 9 and above. 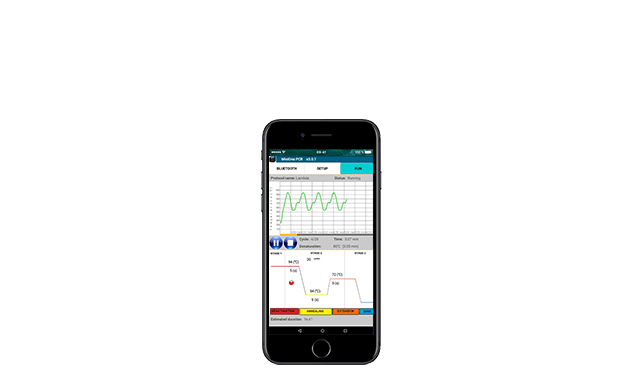 The MiniOne PCR Mobile App is now available and compatible with iPad 2, iPad Air, or iPad mini 2 and above with iOS 9 and above. 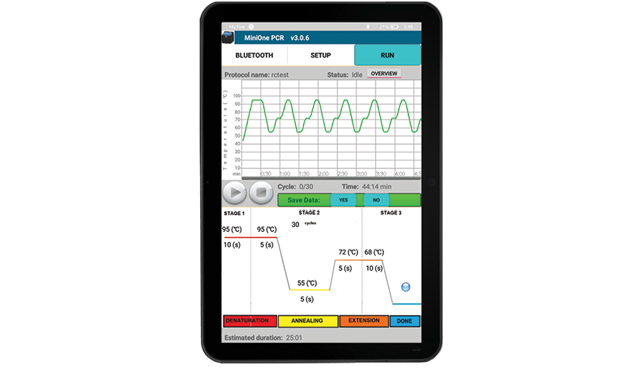 The MiniOne PCR Mobile App is now available and compatible with Android tablets such as Amazon Fire and above, Samsung Galaxy Tab A or Tab S4 with Android 5 (Lollipop) OS and above.